When guests call for a reservation, we always ask if they would like to reserve any of our house specialty, slow roasted Prime Rib of Beef. We do not often run out, but it is possible. If you would like to reserve Prime Rib, order a cake, or have anything else we can do for you, please let us know in the “Special Requests or Notes” section on the reservation confirmation page. 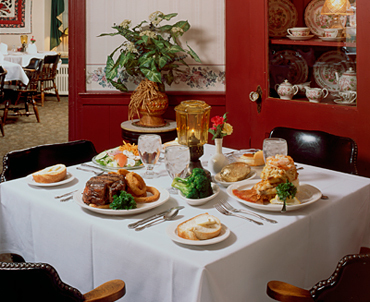 If you can not find the reservation you want or we can help you with anything at all or reservations for more than 6 guests, please call us at 610 495-5205.